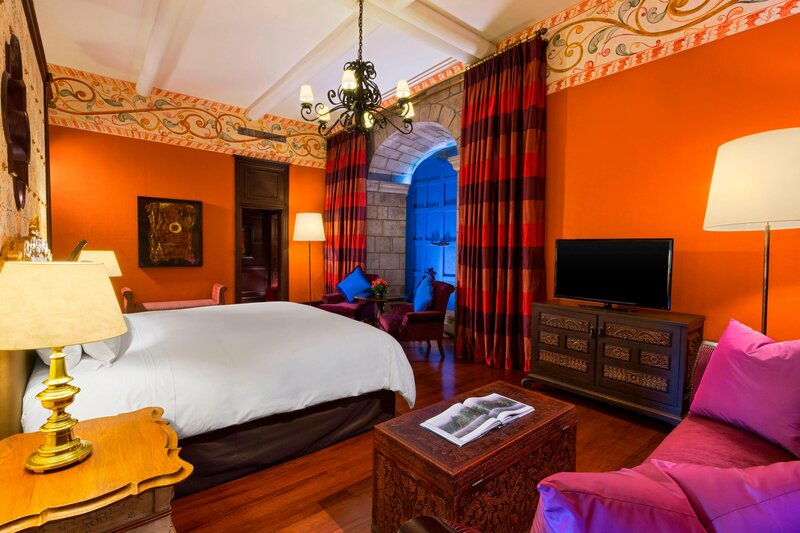 The 154 standard guest rooms feature coffered niches of dark wood, while maroon entry halls with yellow ochre walls mirror colors in the Damascus figures of the floor carpeting. 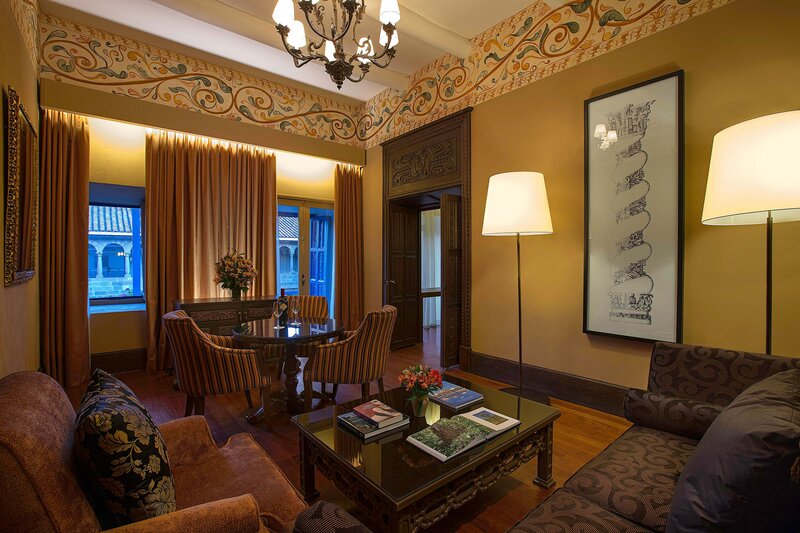 Meanwhile, the 17 Casa de los Cuatro Bustos Suites, all with 13-foot ceilings, have particularly rich textiles in addition to classic decorative pieces, lounge chairs, hand carved chests and writing desks to recreate the feel of a Colonial Cusco mansion. Presenting an indelible combination of space, amenities, and historic details, our Imperial Suites offer characteristic street or Kusicancha courtyard views from a private balcony in select suites. Majestic rooms and suites designed to offer the best rest. 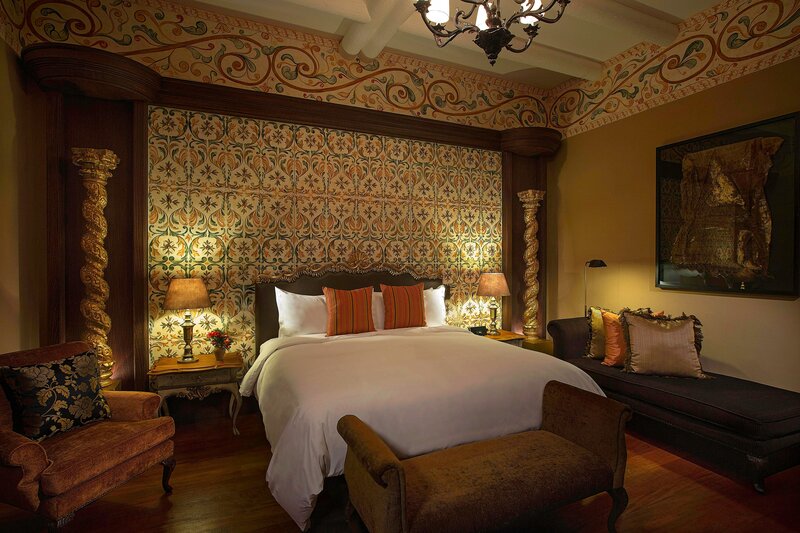 17 Casa de los Cuatro Bustos Suites, all with 13-foot ceilings, have particularly rich textiles. Beds feature large wooden headboards framed in gold leaf and aged leather panels with vivid. All bathrooms are covered with aged cream Travertine marble. Indigenous Bath Amenity "Le Chemin" by BYREDO, specifically created for The Luxury Collection.